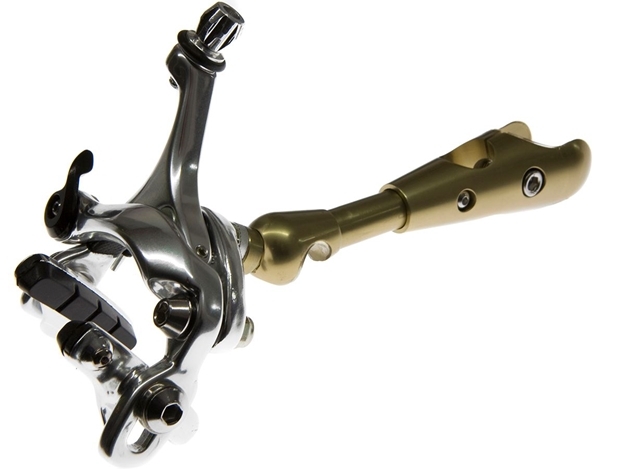 The arm attaches to the seat tube and then simply rests on the seat stay bridge; a system that provides far more support and power to your brakes than any other rear brake adaptor out there. It will fit any frame with a round seat tube and an accessible seat stay bridge. 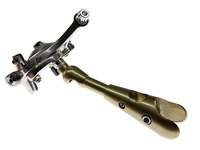 Please note: Rear Brake Adaptors come in different extension lengths to fit different sized frames. To find out what size do you need please measure distance between seat tube and centre of the bridge. Please request PDF sizing card before ordering.